Keep all your iMessages in sync with the best new feature of iOS 11.4. But this had big limitations. The devices all needed to be powered on and connected to the internet at once; if a device was offline, it wouldn’t ever get the messaging changes from your other devices. And if you deleted a conversation—say, a list of two-factor authentication codes—they would only disappear from the device you’re currently using. And if you’re worried about security, note that Apple assures us that all your iMessages, including files and photos, are still end-to-end encrypted. First, you’re going to need iOS 11.4 or later on your iPhone or iPad. In iOS beta versions prior to the release of 11.4, you would be prompted to enable Messages in iCloud the first time you opened the Messages app. Just agree, and you’re good to go. In the final iOS 11.4 release, that prompt appears to be gone—you’ll have to dig into your Settings to enable the feature. 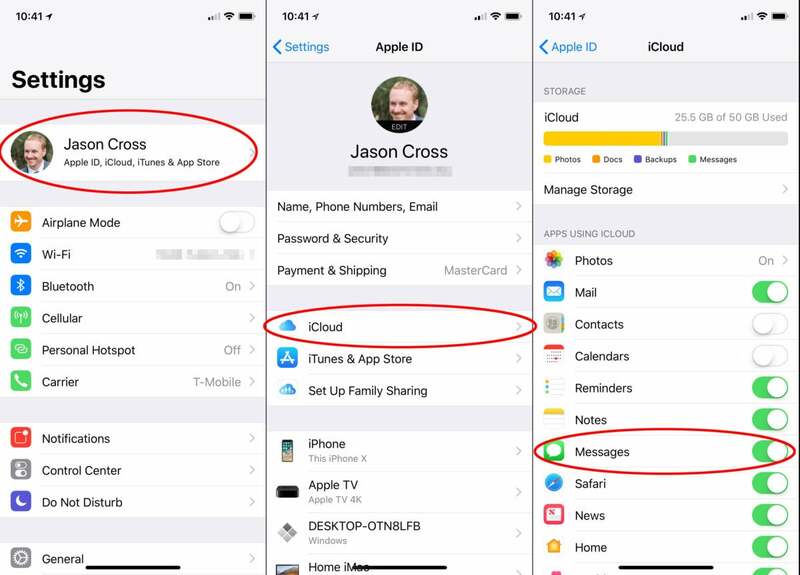 Tap on your iCloud and Apple ID settings (it’s your name and image). To enable Messages in iCloud, you’ll have to dig into your iCloud settings. You’ll need to be plugged in and connected to Wi-Fi in order for your Messages history to sync up the first time. There may be a lot of data there, and Apple doesn’t want to kill your battery (or data plan) uploading it. After the initial sync, everything should always stay up to date as long as you’re connected to the Internet. Enabling Messages in iCloud is a little different on the Mac. In the menu bar at the top of the screen, click Messages then Preferences. Choose your iMessage account in the left column. 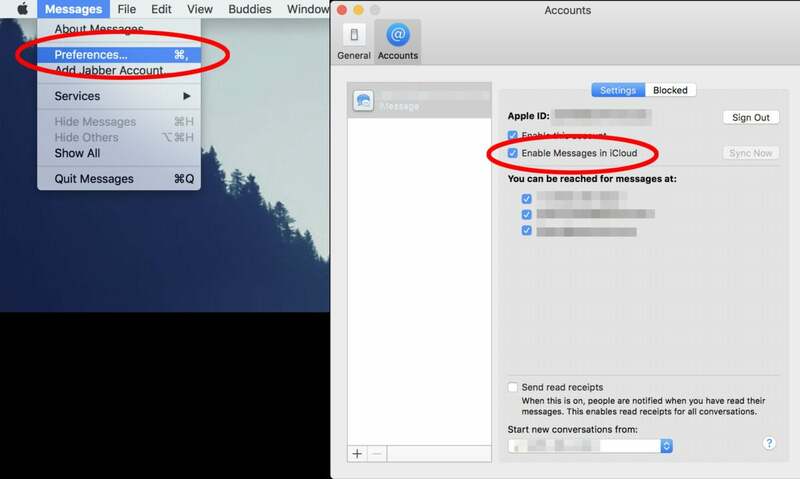 Make sure Enable Messages on iCloud is checked. Enabling Messages in iCloud on the Mac is done in the Messages app preferences, not system preferences. Once this is enabled on all your devices, messages should always stay in sync, including deleted messages or threads, attachments, or images and videos.